U.S. energy firms cut the number of oil rigs operating for a third week in a row as a 14-month drilling recovery stalled as companies pared back on spending plans when crude prices were softer. 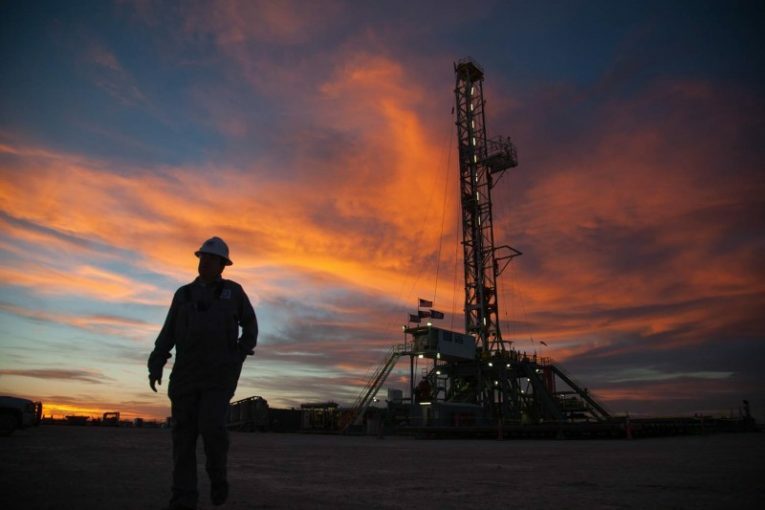 Drillers cut five oil rigs in the week to September 22, bringing the total count down to 744, the least since June, General Electric Co’s Baker Hughes energy services firm said in its closely followed report on Friday. That put the rig count on track for a second month of losses in a row and also its biggest monthly decline since May 2016. It was also on track for its first reduction in rigs over a three-month period since the second quarter of 2016. The rig count, an early indicator of future output, is still higher than the 418 active oil rigs a year ago as energy companies had mapped out ambitious spending programs for 2017 when they expected U.S. crude to be higher than the $50 per barrel range where they are currently trading. Crude prices were up about 7 percent so far this month after declining in five of the past six months, including a near 6 percent drop in August as rising U.S. output helped to add to a global glut. U.S. shale production is set to rise for the 10th month in a row in October to a record high 6.1 million barrels per day, according to a U.S. government projection this week. Although several exploration and production (E&P) companies have trimmed their investments for this year due to the drop in crude prices, they still planned to spend much more this year than last year. Analysts at Simmons & Co, energy specialists at U.S. investment bank Piper Jaffray, this week revised lower its forecast for the total oil and gas rig count growth, now expecting it to rise to an average of 881 in 2017, compared to 884 it forecast last week. Forecasts were unchanged to rise to 959 in 2018 and 1,114 in 2019. That compares with 859 oil and gas rigs so far in 2017, 509 in 2016 and 978 in 2015.